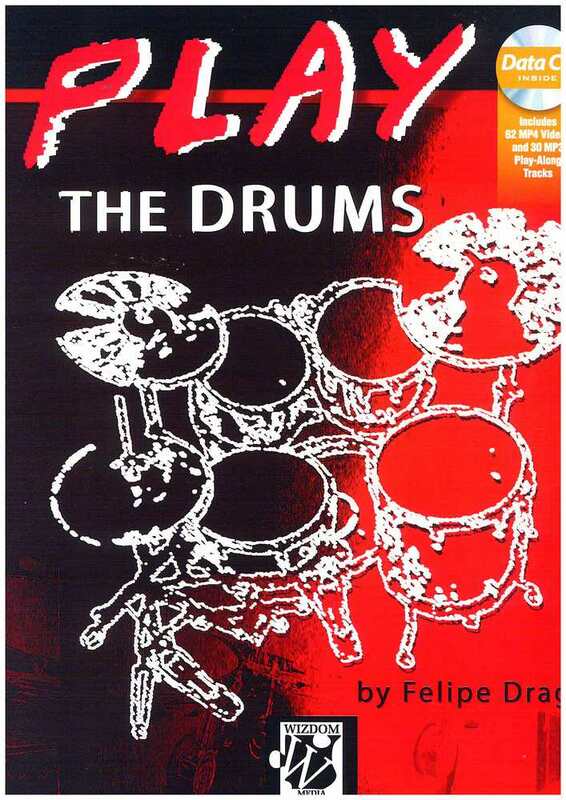 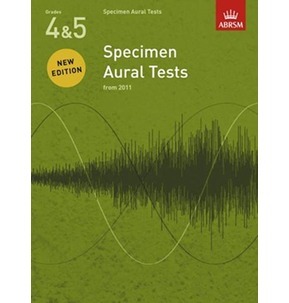 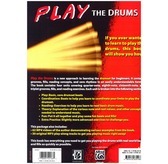 Play the Drums presents a new approach to learning the drumset for beginners, containing grooves, fills, reading concepts, and core rhythms in a simple and clearly organized format. 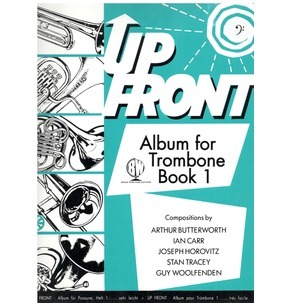 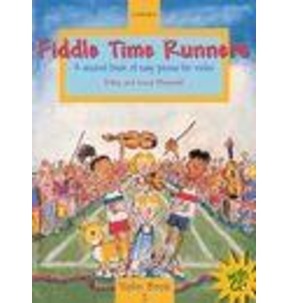 This easy-to-use book and CD kit covers quarter-note, eighth-note, sixteenth-note, and triplet grooves, fills, and reading exercises. 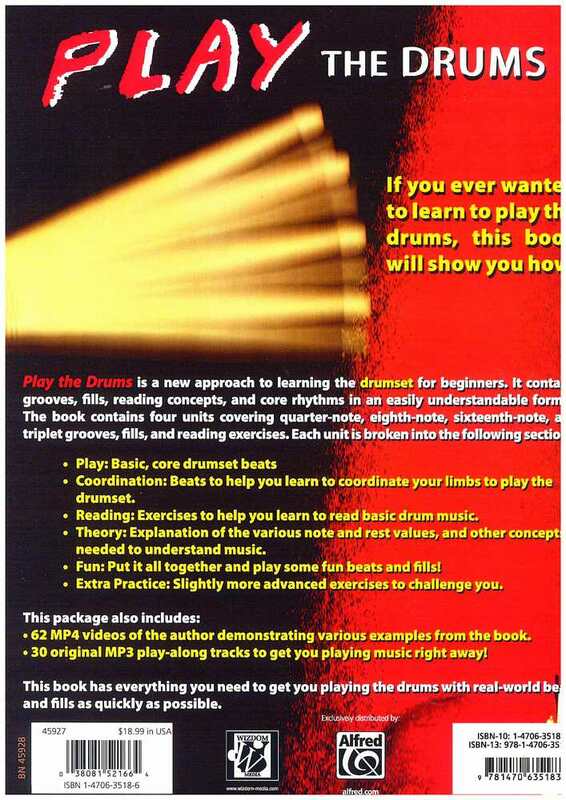 In addition, the data CD provides MP4 video demonstrations of the examples and play-along MP3s for practice. 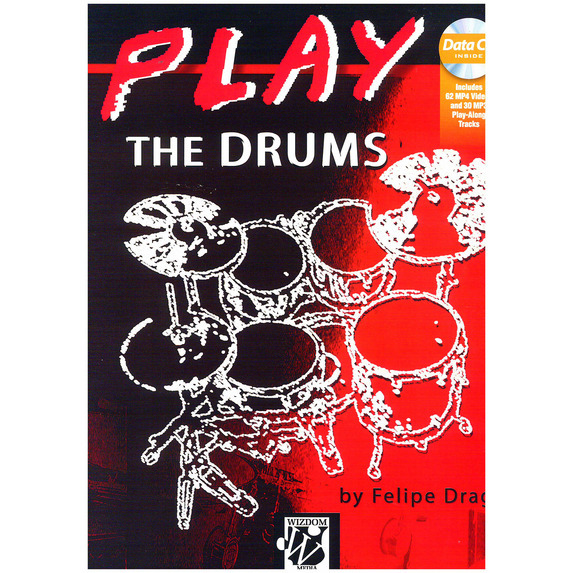 Play the Drums has everything you need to start playing the drums with real-world beats and fills as quickly as possible!